It's time to rejoice, Nintendo fans. 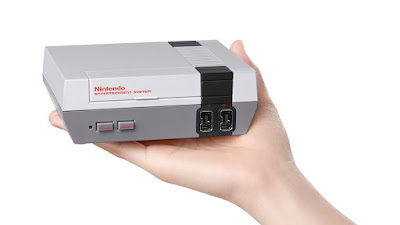 The classic NES is back! Nintendo announced today that they will release a miniature version of the classic system with 30 built in games. The system will look exactly like the original NES and use the same classic controller style as well. All users will need is an HDMI cable to plug the device into their TV and their classic Nintendo experience will begin. The new classic mini releases November 11th and is only $59.99!